Bullet Weights recently received the Above and Beyond Award from the Employer Support of the Guard and Reserve program. 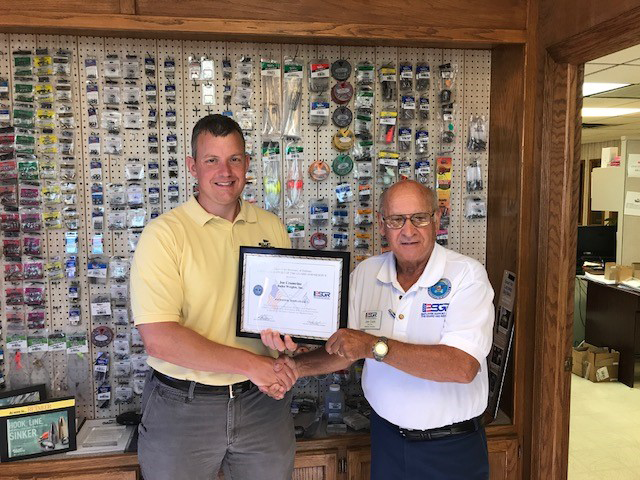 Bullet Weights and its president, Joe Crumrine, were honored with two awards from the Employer Support of the Guard and Reserve program. 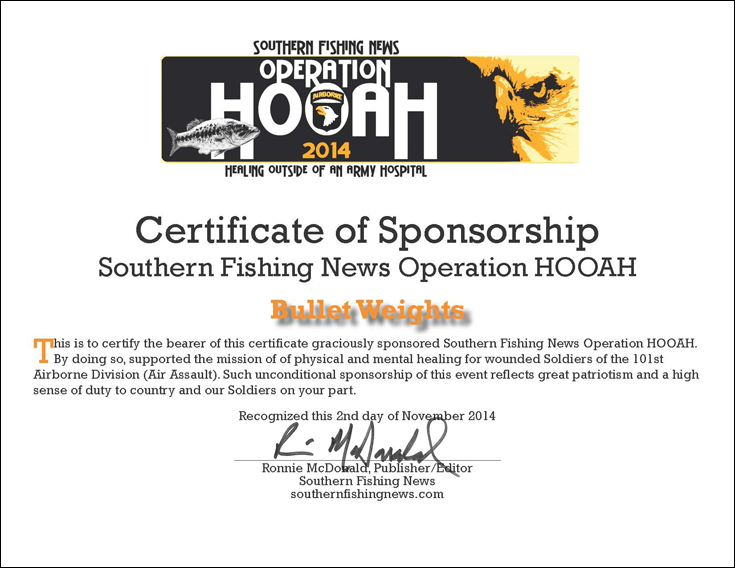 Bullet Weights is proud to sponsor Operation HOOAH. For more information go to www.southernfishingnews.com.